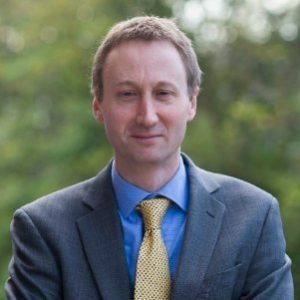 Ian Leech has been confirmed as the new editor of the Yorkshire Business Insider. He has replaced Adam Lovell, who has left the company to launch a new startup called Ruan Partners. Leech has been a journalist for more than 20 years, starting on the Macclesfield Express and then the Croydon Advertiser before a 14-year stint as an assistant editor on the foreign desk of the Daily Mail in London. He relocated to Yorkshire in 2015 and has since worked for Insider as a business editor in its commercial property division. Leech told us: “I am delighted and honoured to take the role of editor for Insider in Yorkshire – my home county. I look forward to continuing the superb work of Insider’s magazine and events in the region and taking them to a new level with my own ideas. "There are challenges for business in the region, but in my two years at Insider I have met some of the most inspirational companies and business leaders that you will find anywhere. More than anything, there is a collective will for Yorkshire to play its part in a rejuvenated north." The Yorkshire edition is one of five regional B2B magazines published by Insider, which claims a subscriber base of 200,000. It also hosts around 140 events and its nationwide network of regional news emails has 140,000 subscribers.